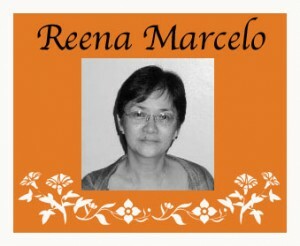 WeDpro sadly bids farewell to co-founder Alexandrina “Reena” Marcelo, who passed away recently. She was a fierce and passionate defender of women’s rights, particularly their reproductive and sexual health rights. She worked for more than 30 years as an evaluator, researcher, trainer, and program manager in the field of reproductive health, gender, and development. A dedicated advocate for the causes she believed in, she was a member of Katipunan ng Kababaihan para sa Kalayaan (aka KALAYAAN), Issa Phil, WOMANHEALTH, RRRG, and WHCF, as well as the Treasurer of Board of Trustees of WeDpro until her resignation due to her illness in December 2014. With love and gratitude, we honour her memory and her life-long work. She is survived by her only child Xandra and her husband Ollie, three lovely grandchildren, and her siblings with their families.